The decision has been made. “We’re moving on out! No more lawn maintenance, no more worrying about the furnace, air conditioner, or hot water heater kicking the bucket, and no more cleaning all this extra space we don’t even use. We’re ready to move to an independent living community." Finding the right fit for an independent living community takes time. A lot depends on how independent one wants to be. A villa at a resort type community where you continue to have your own residence while enjoying numerous outdoor amenities? A one level duplex in a city or suburban type community with a good neighborhood feel and some walking paths and gardening options? Maybe a well-designed apartment or mobile home village sounds appealing. Another very popular option is a continuing-care retirement community. In the independent living area, you have your own residence. It might be a patio home, a one-level duplex or triplex, or a spacious 1, 2 or 3-bedroom apartment. Walking trails, exercise facilities, a club house, and planned activities and excursions are all part of community, just as they are in other models of independent living. 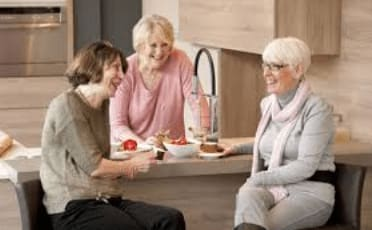 With the continuing-care retirement community model, however, if you need more assistance as you age, it is easy to move to other senior living options such as assisted living, memory care, and skilled nursing. The friendships nurtured and enjoyed continue because you remain at the same community and reside at whatever level best fits your needs. After deciding to make the move, the next decision is where to? There are numerous choices: rural areas, suburban areas, small cities, college towns, or big city life. Maybe you have children who live far away and they want you to move closer to them. As a 65-year-old retiree, you may want to experience more of the world and try a few years enjoying life at the beach, near the Rockies, or in Ireland! As a 75 or 80-year-old who is slowing down a bit, maybe living near adult children makes sense. It would be easier for everyone if you lived close by in the event of an emergency; plus, you’ll enjoy family time more often and be able to visit with grandchildren and grand dogs/cats regularly. Once the geographic location is decided, research can begin. 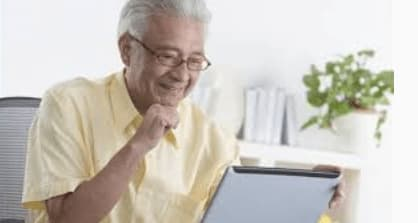 An Internet search will help identify different communities: their philosophy of senior living, their amenities, floor plans, pet policy, meal plans, housekeeping and laundry services, parking facilities, and fees. 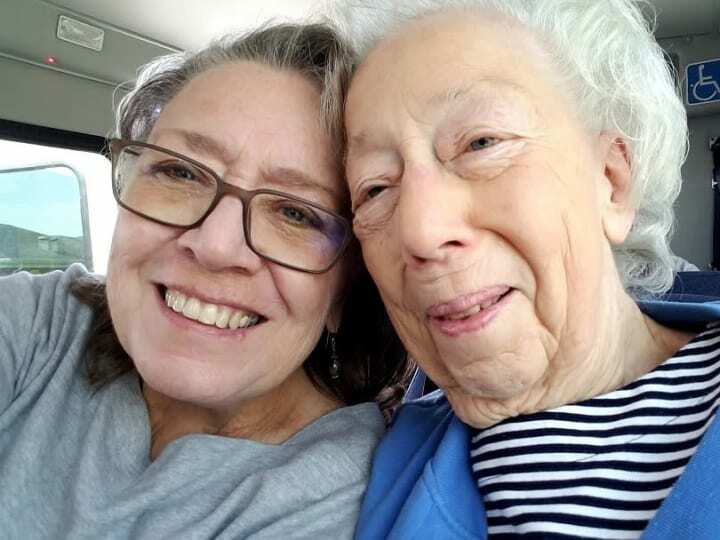 In addition to the Internet, if you have friends or relatives who have already transitioned into an independent living community, visit them; join them for lunch and some activities. Find out why they chose that community and what they like about living there. After identifying a few independent living communities of interest, think about questions you may have and write them down. What kind of security system is in place? Do they have any openings or is there a wait list? What kinds of planned activities are there? Any clubs, continuing education programs, field trips? And remember that two or three brains are better than one. Invite a close family member or two, or a couple good friends, to brainstorm important questions to ask. Then call! Websites offer phone numbers that will put you in touch with the right office to make that initial contact and ask questions. And remember, first impressions count. Are you greeted quickly by someone in a welcoming way, or do you have to slash your way through a phone tree with multiple limbs? Does the person you speak with show a genuine interest in you as a person and your search for an independent living community? Are your questions welcomed or do you feel rushed? Are you enthusiastically invited to have a tour, enjoy lunch, and look around, or do you have to ask? It’s exciting to tour various independent living communities to see what they look like and what they offer. Bring a friend or relative; those extra set of eyes will note pluses and minuses you might miss. Also, bring a tote or something to gather printed information you will be offered: brochures, floor plans, business cards, sample contracts, activities calendar, etc. Even if you think you know what type of residence you prefer, look at a few other options. Maybe you won’t need a three-bedroom unit after all because the two bedroom unit has large bedrooms that can accommodate a small office space. Maybe you thought a studio apartment would be perfect, but when you see it in person and picture yourself living there, you realize that a separate designated bedroom would be better. And of course, make note of cleanliness, repair and upkeep measures, the views from each unit, and, if possible, external noise. Again, cleanliness and upkeep are important, but do you also see residents engaged in conversations and activities? Do people say hello? 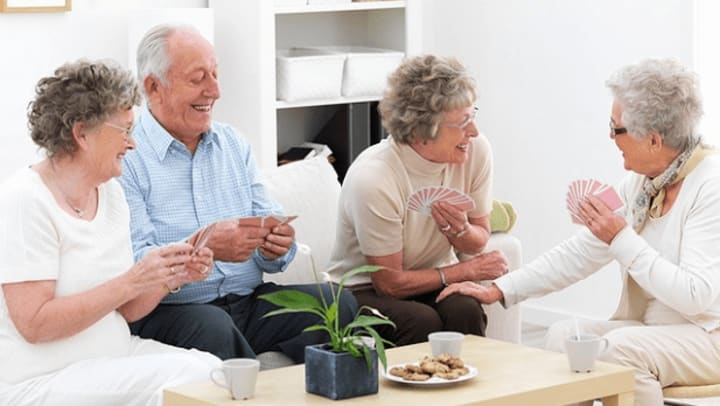 Does there seem to be good camaraderie between residents and staff? Do you hear laughter? Are there quiet areas to relax with a magazine or a game of chess? Are there amenities you can see yourself using regularly – exercise room, movie theatre, library, pool or spa, game room, hair salon, mini mart? How was lunch? What options were available? Can special dietary needs be easily met? Is there a café and/or lounge/bar area for those who enjoy those options? Are there walking paths with benches available? What about bike paths for those who love to pedal? 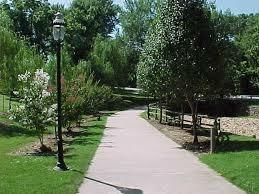 Are the grounds maintained nicely with a variety of trees, shrubs, and perennials? Are they kept clean and free of debris such as cigarette butts? Are there designated shaded sitting areas for small groups to gather outside and enjoy the fresh air? After each visit, organize information received in designated files or large envelopes so that you can review them later at your leisure. You are not imposing. You are researching and engaged in an important decision process. Walk around the grounds again and take your time. Say hello to other walkers. Greet folks sitting on the patio and introduce yourself. Let them know their community has made your short list and ask them what they really enjoy about living there. When you go inside, you may need to sign in as a guest. Let the receptionist know you’ve already had an official tour, and now you’d just like to visit the common areas again. No need for a guide. Do as you did outside; say hi to others who give you direct eye contact or smile at you. If there is a café or snack area, enjoy a cup of coffee or tea. Spend some time in the library with a magazine. Look around, observe, and relax. And don’t be surprised if staff greet you and ask if you need anything. Some may even remember you from your first visit. Hopefully, the geographic location you choose will have at least two viable independent living options. In larger populated areas there will be more. Once your initial tours and your return visits are completed and you review the printed materials you collected, you will feel confident in making the decision that will frame the next chapter in your life. If you have made the transition to independent living, what was the deciding factor for your decision? What cautions or concerns did you have? What advice would you give to a good friend?